This past weekend, the Clayton Bootleggers made their second consecutive trip to compete in the Annual Savannah St. Patrick’s Day Tournament. 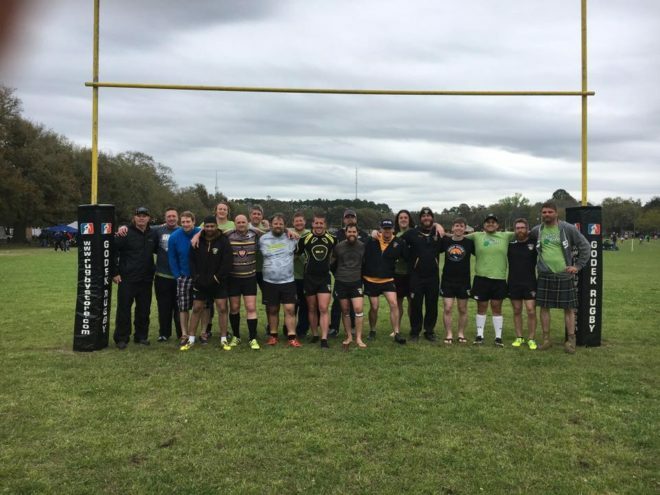 Widely regarded as one of the top rugby events on the American rugby calendar, the Savannah tournament is a two day event that brings together over 80 teams from around the United States. The Bootleggers traveled strong to the event and quickly had to test that depth as injuries mounted over the weekend tournament. The Bootleggers started off the tournament against the East Side Anchormen from Detroit, Michigan. Despite a shaky start to the first half, the Bootleggers took an early lead behind tries from Gareth Davies and Ted Hardy. The Anchorman answered back before halftime to place the score at 12-7 with Clayton leading as the teams went into the break. The second half was a wild affair as the squads exchanged tries, but it was Clayton that ended up on top in the end. Davies added his second of the match and the Bootleggers got tries from Stuart McKenzie, Vincent Faison, and Jonathan Sanyer. Brendan Fitzpatrick added the conversions as the Bootleggers earned a 36-19 victory over the Midwestern squad. The win placed the Bootleggers up against the Hartford Wanderers out of Connecticut. The winner of the match earning a trip to the Division Championship game on Sunday and the loser heading to the 3rd place match. Hartford came out strong against Clayton, dictating the pace of the match with a strong set piece and punishing runners. Hartford got off to a great start with two early tries and a penalty goal to stake a 17-0 lead. Clayton found their footing midway through the first half and began to go through the phases. The Bootleggers closed the gap on the scoreboard with a try from Ted Hardy right before the half. The conversion from Fitzpatrick cut the lead to 17-7. The second half belonged to the Wanderers as they controlled possession and slowly began to grind down the Bootleggers. The constant pressure took its toll as Hartford cruised to a 35-7 win. On Sunday morning, the Bootleggers were set to face off against the University of Georgia Alumni for 3rd place. Unfortunately, the UGA team only showed with a handful of players so the match was deemed a forfeit. In the spirit of rugby, the Bootleggers gave UGA some players and the teams played a friendly 10s match to close out the tournament for both squads. The 3rd place finish was the second in a row for the Bootleggers as they will have to wait until next year to get over that hump and play for a Championship. Regardless of the finish, it was a great weekend for the club with plenty of bonding and fun. 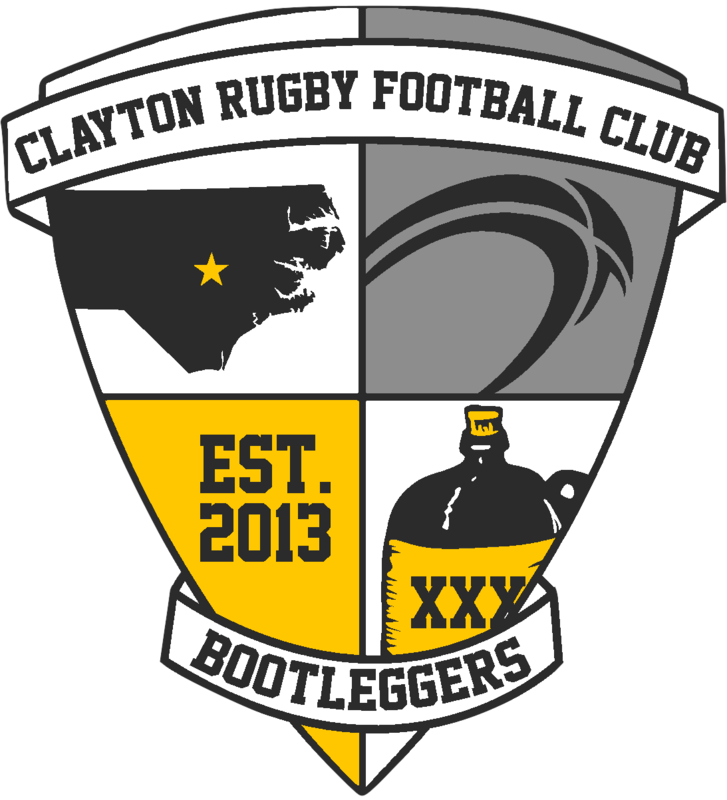 The Bootleggers hit the road again this coming weekend as they travel to take on Carolinas North Division opponent Cape Fear.